The California State University last week made a significant leap forward in tackling the obstacle course of remedial classes that many students never navigate successfully. CSU announced that it will drop intermediate algebra as a prerequisite for non-math and science majors before they can take college-level math courses required to graduate. Also it will eliminate proficiency tests that can result in students being placed in remedial classes in English and math, even though they may have enough knowledge to take college level courses. 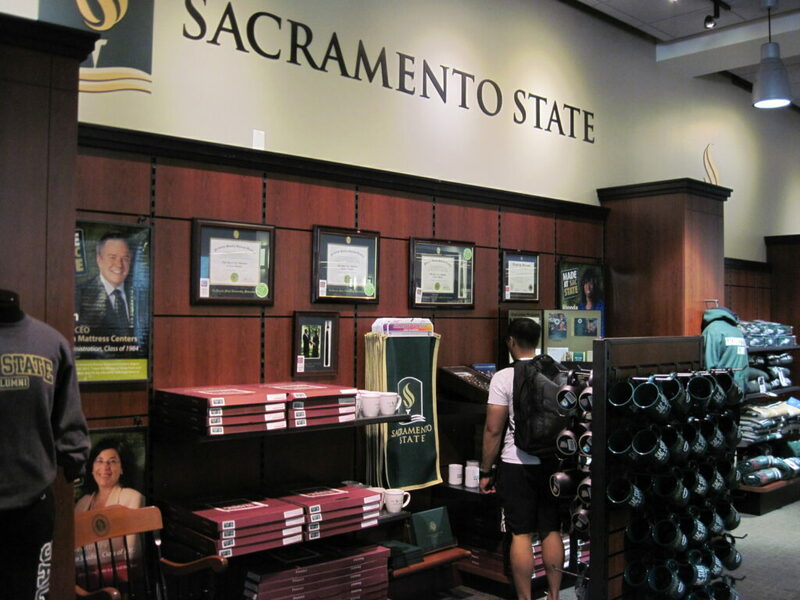 And CSU is planning to offer college-level courses to students normally assigned to remedial classes, supplemented by a range of in-class or other support services to help them succeed. As welcome as these steps are, they should not obscure the most important factor, which is the work that needs to be done at the preK-12 level to ensure that students arrive at the college gate better prepared. Take intermediate algebra. Every student entering CSU and the University of California must have already passed a course in which they mastered intermediate algebra. That is essentially what high school Algebra 2 is. More recently, intermediate algebra has been incorporated into Math 3 in the new Common Core sequence of math courses. Those courses are among the A-G course requirements that every student has to satisfy for admission to CSU or UC. But when they get there as freshmen, it is often determined through proficiency tests that they have not, in fact, mastered intermediate algebra. They then have to enroll in a remedial/developmental class to demonstrate that they have mastered material that at least on paper they are supposed to be proficient in. Intermediate algebra is only one example. Similar examples can be found across the high school curriculum. On the preK-12 front, California is moving in the right direction in preparing students for college. Graduation rates are rising — reaching a high last year of 82 percent in the spring of 2016 (figures for 2017 have not yet been released). High school test scores, at least as measured by the standardized tests students must take each spring, are going up. Most encouragingly, more students are completing A-G course requirements for admission to UC and CSU than ever before. The number of students who completed the A-G requirements went up from 125,516 in 2006-07 to 194,698 in 2015-16. Even more impressive is that the number of low-income students meeting the requirements has increased at a far greater rate, in fact tripling over the same period. Even on the remedial front, California has made significant progress. In the fall of 1995, only 32 percent of CSU freshman were proficient enough to take college level coursework in both English and Math by the time they started fall classes. By 2011, that figure had risen to 52 percent, and by last fall to 62 percent. But too many are still arriving at college without the skills they need to succeed. Last year, 49 percent of students in California “met” or “exceeded” standards on the Common Core-aligned Smarter Balanced tests in English language arts, and only 37 percent did so in math. No wonder then, that at CSU nearly 4 in 10 entering freshman are still in need of some remedial work in math and English. The need is even greater at the California Community Colleges, where 80 percent of entering students took an English or math remedial class, or both, according to 2016 PPIC study. Like CSU, California Community Colleges Chancellor Eloy Ortiz Oakley has pledged to similarly remove intermediate algebra as an obstacle for non-math and science majors to get their associate degrees. California’s preK-12 system has introduced a slew of reforms in recent years, including the Local Control Funding Formula, which targets state funds at so-called “high needs” students — low-income students, English learners and foster parents — as well as the Common Core standards in English and math, and the Next Generation Science Standards. Significantly, the entire thrust of the state’s K-12 reforms is to ensure that students graduate from high school “college and career ready.” California is about to add a “college and career readiness” indicator to the California School Dashboard that will show how well school districts are doing in preparing students on that front. Clearly the more help students get before they graduate from high school the less pressure there will be on colleges to get them up to speed in key academic areas. This will require greater alignment and collaboration between preK-12 and the three systems of public higher education, along with the private university sector in California. To do so will be quite a challenge, as the K-12 system is decentralized, consisting of nearly 1,000 school districts, each managed by an elected board of education. On top of that, there are over 1,200 charter schools, serving 1 in 10 of the state’s public school students, and no one person or organization speaks for them. California does have an elected State Superintendent of Public Instruction, currently Tom Torlakson, and a State Board of Education, appointed by the governor. But their powers are limited by law in what they can tell school districts to do. By contrast, CSU has a single board of trustees for its 23 campuses, and UC has one in the form of the board of regents for its 10 campuses. That is not the case with the California Community Colleges, whose 114 colleges are governed by their own locally elected boards of trustees. The biggest contribution California’s college and universities, both public and private, are making to the preK-12 system is by preparing the majority of K-12 teachers in the state’s public schools. That is a crucially important role. Many postsecondary institutions are also collaborating in a variety of ways with their local school districts, such as “dual enrollment” programs between high schools and community colleges. However, a comprehensive plan is needed that helps overcome the fragmentation in the state’s education systems, and builds on the current momentum by more closely linking education institutions, from preschool to college. CSU and the community colleges are to be commended for taking on the remediation minefield head-on. But they will invariably be playing catch-up unless more students emerge from high school ready to take on college-level work. I don’t understand how this official shift to end remedial classes at CSU will help ambitious, willing and underprepared students. Some sort of elaborate structure is being put in place as a substitute for remedial English and math classes which are now being labeled as obstacles rather than aids to kids’ college-level success. I wonder if this isn’t simultaneous CSU cost-saving and academic dumbing-down. Thanks to widespread online “credit recovery” courses, substantively under-prepared high school graduates become college freshmen who no longer will have to take drill-and-kill remedial classes, so they take on mainstream college-level work and then what? More kids flunking out? More watered-down standards, now at the CSU level as well as in sending high schools? More grade inflation? Rather than abandom remedial instruction, reform it so that students can get help where they need help. This looks to me more like a cosmetic change in service to the push, at whatever academic cost, to raise high school graduation rates.